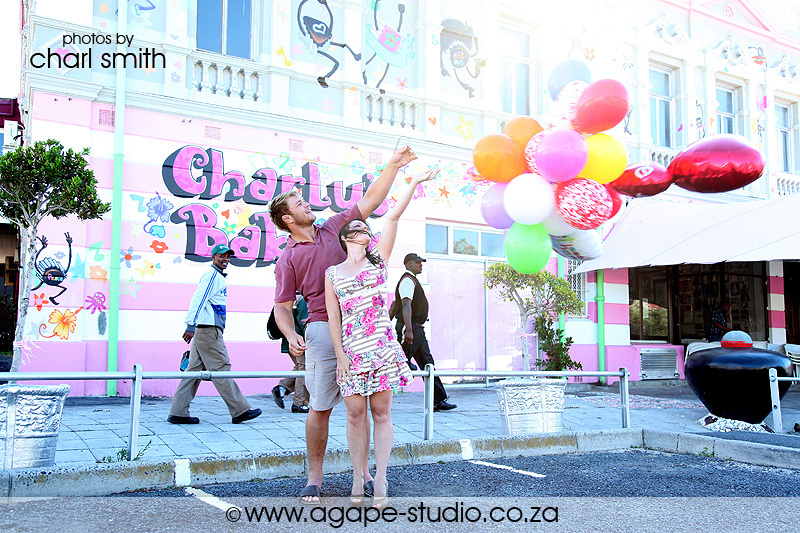 A Stormer and his Princes in a WINDY Cape Town. 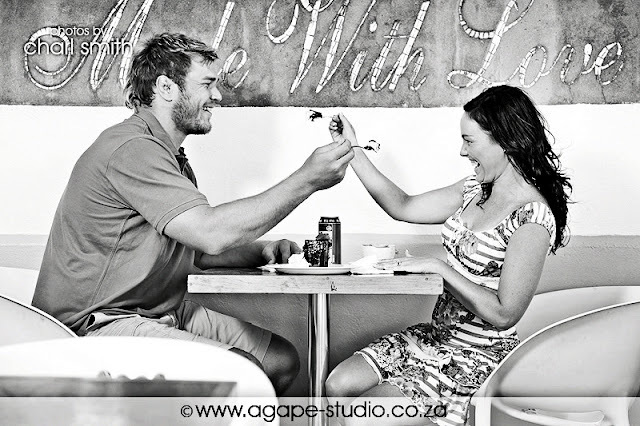 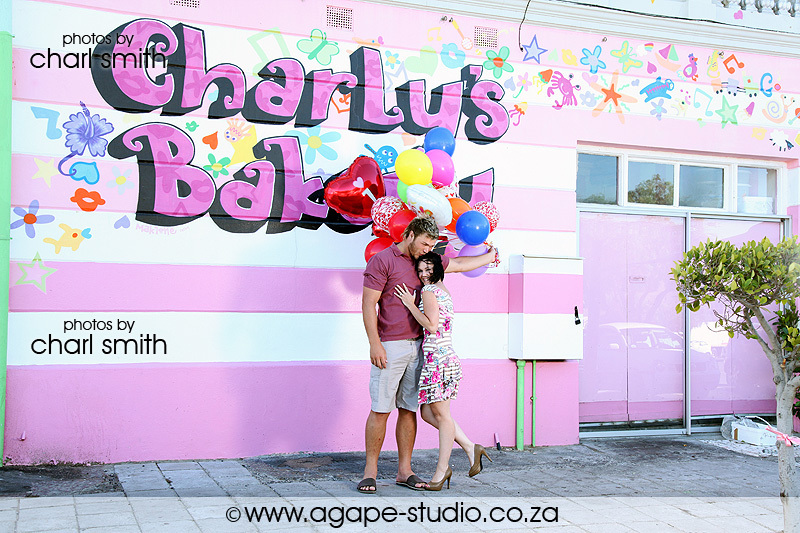 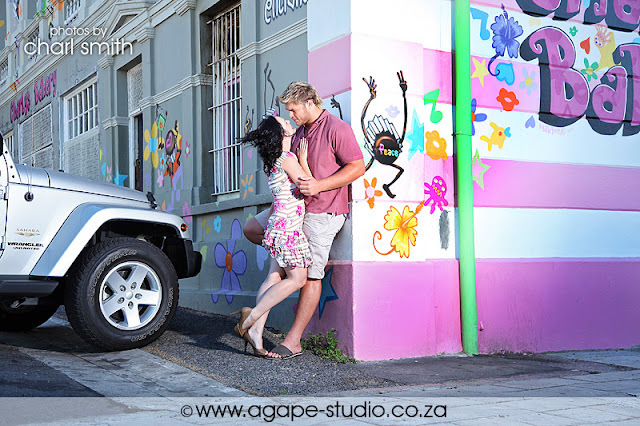 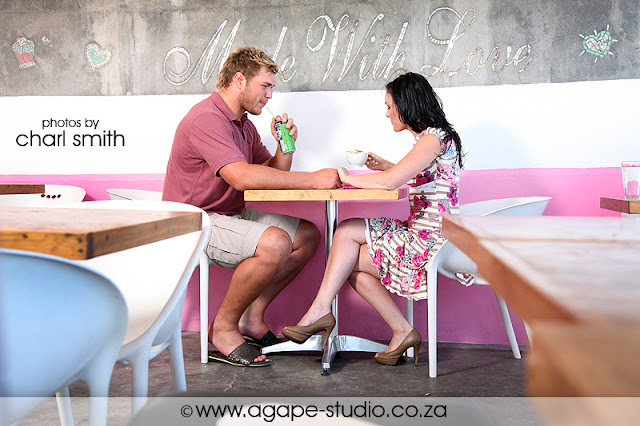 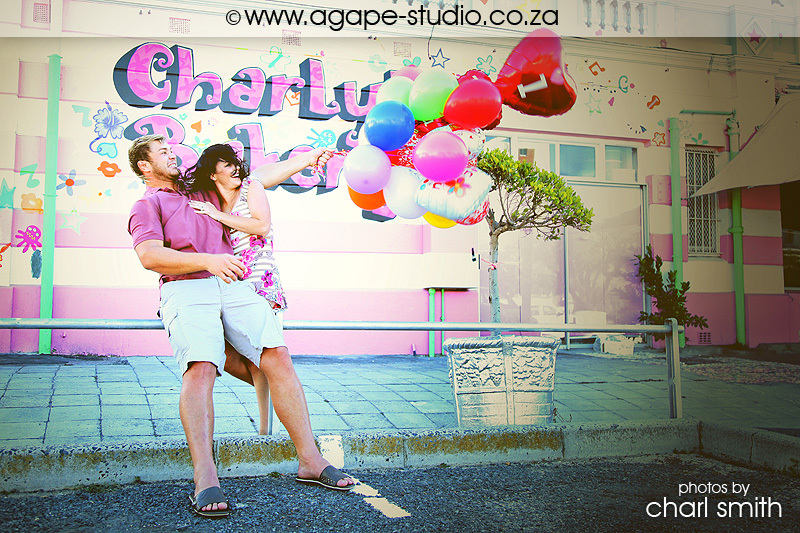 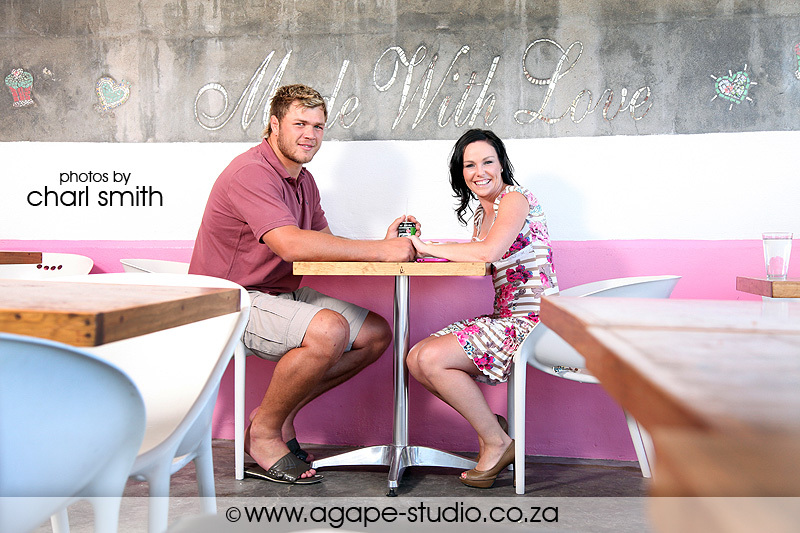 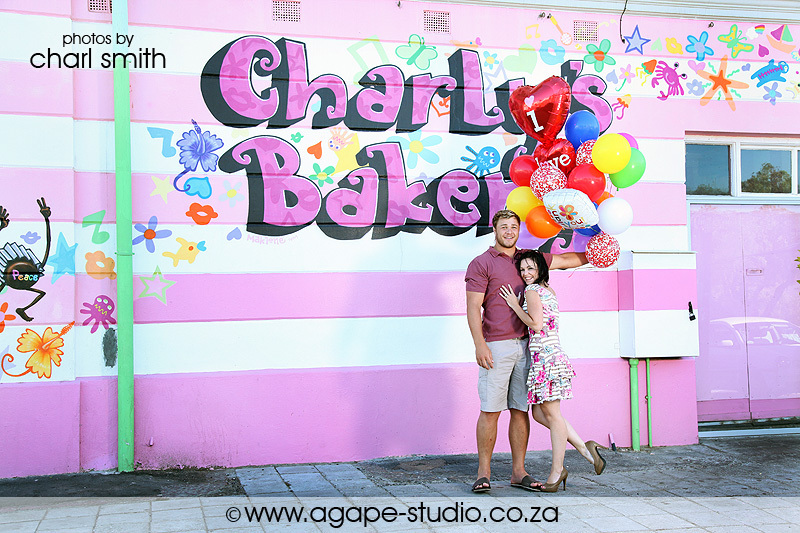 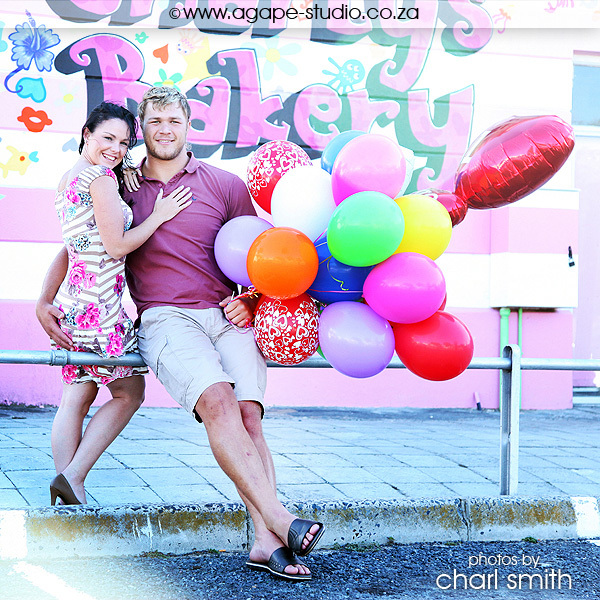 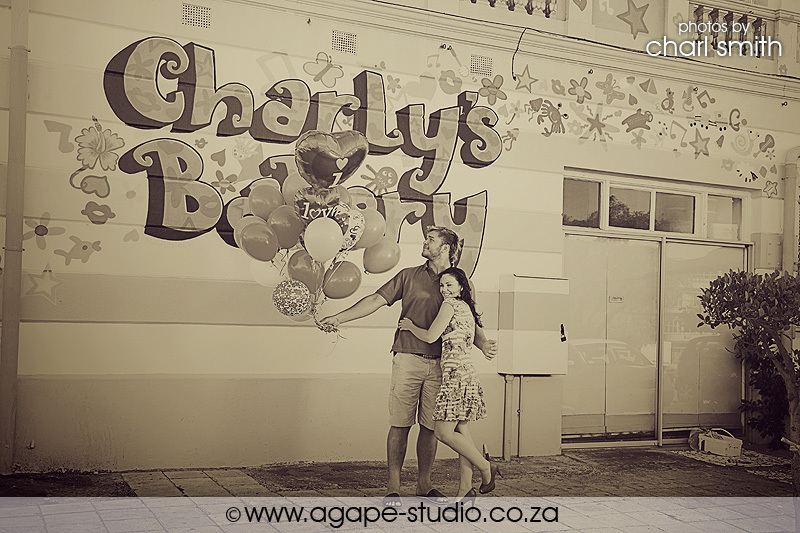 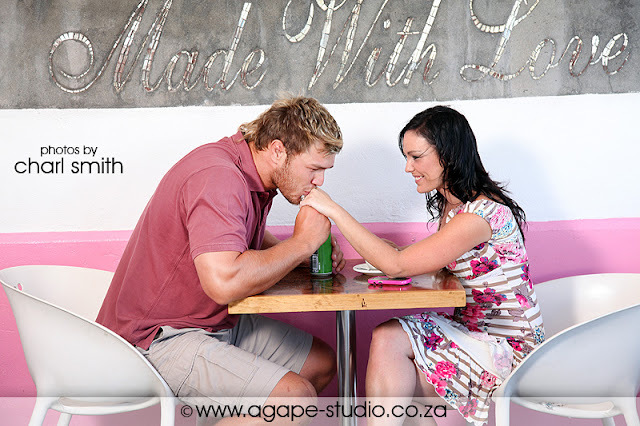 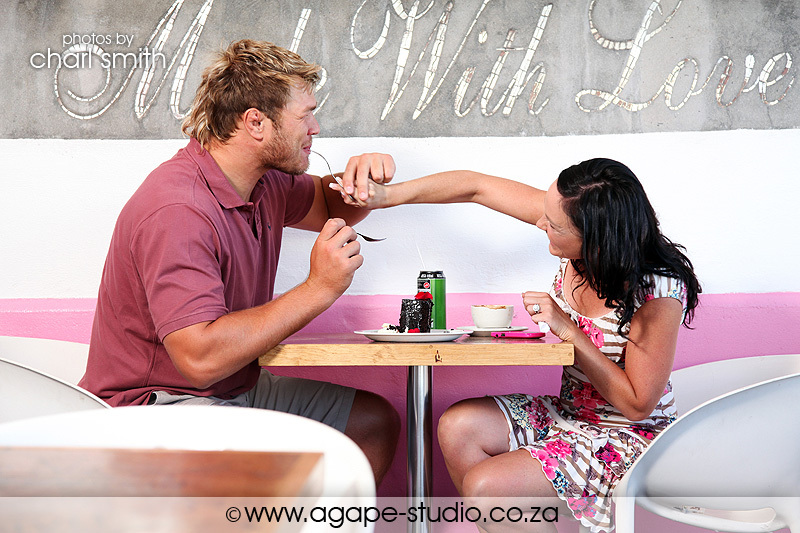 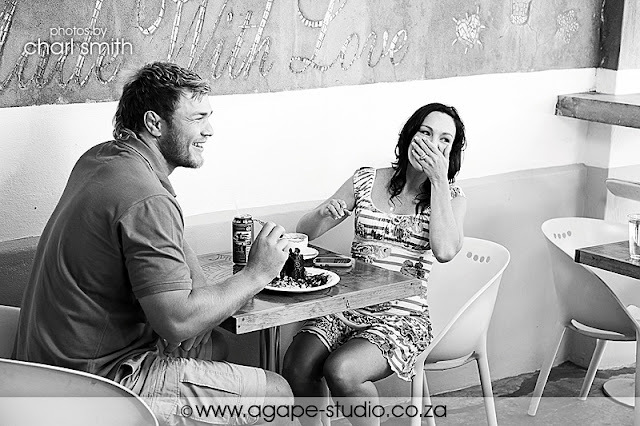 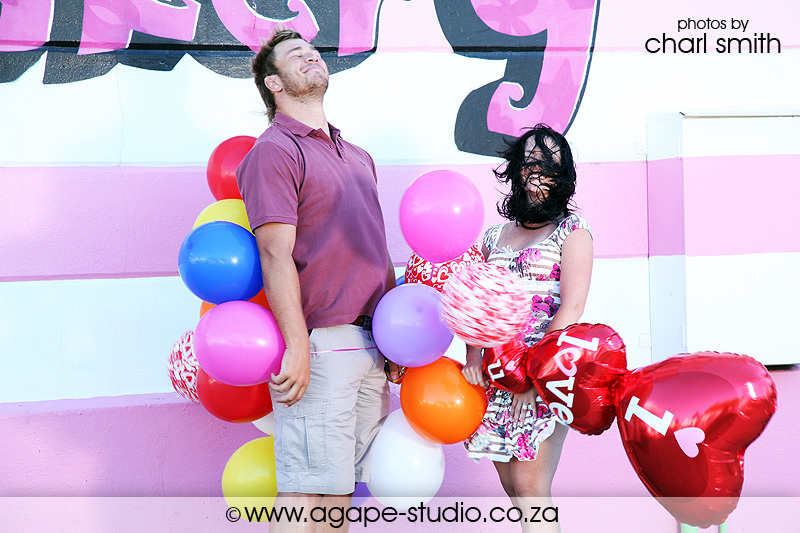 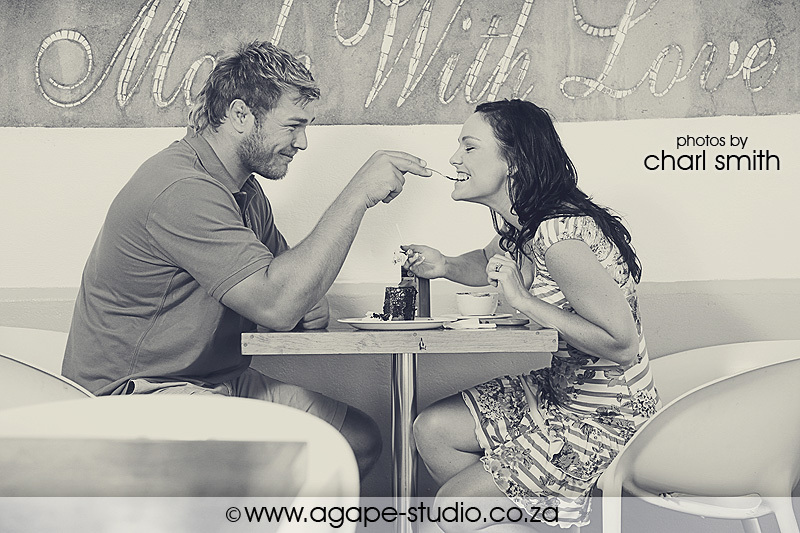 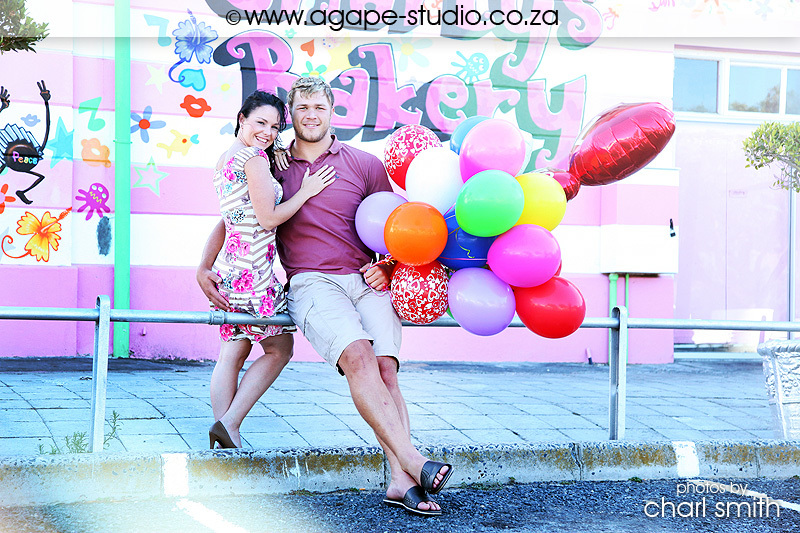 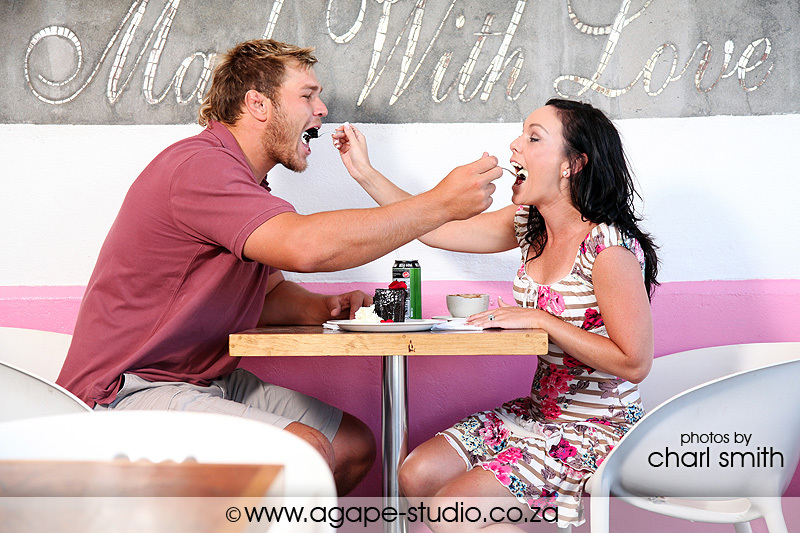 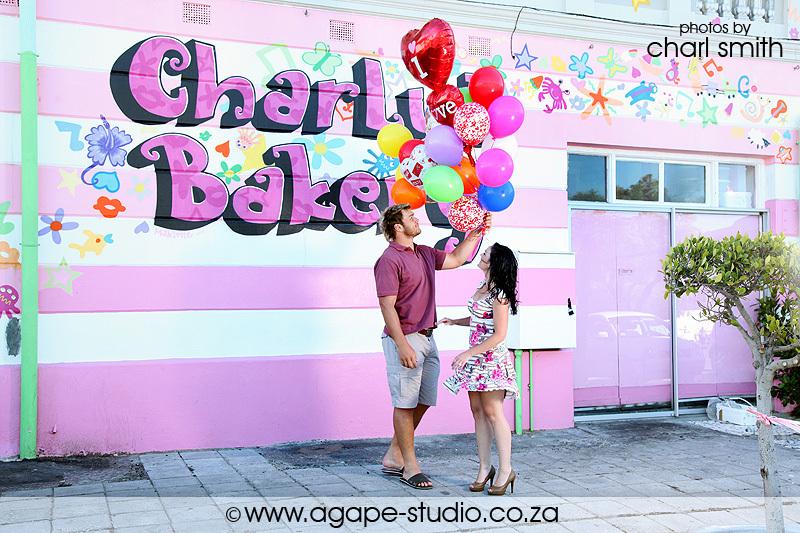 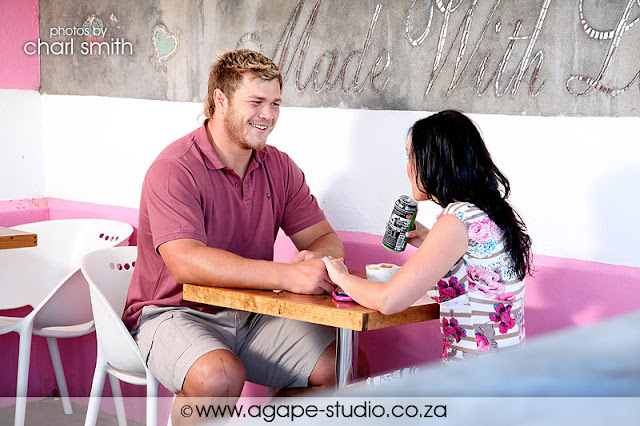 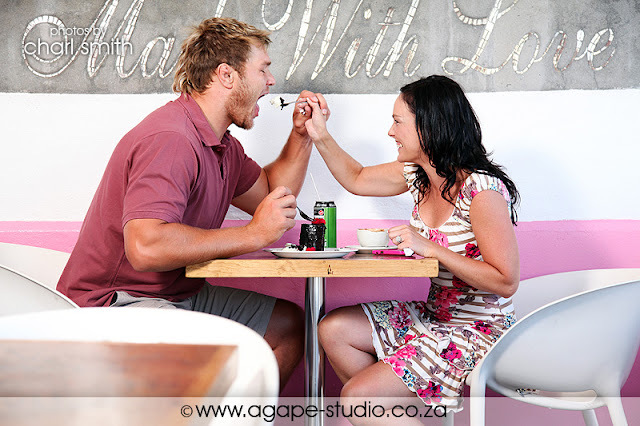 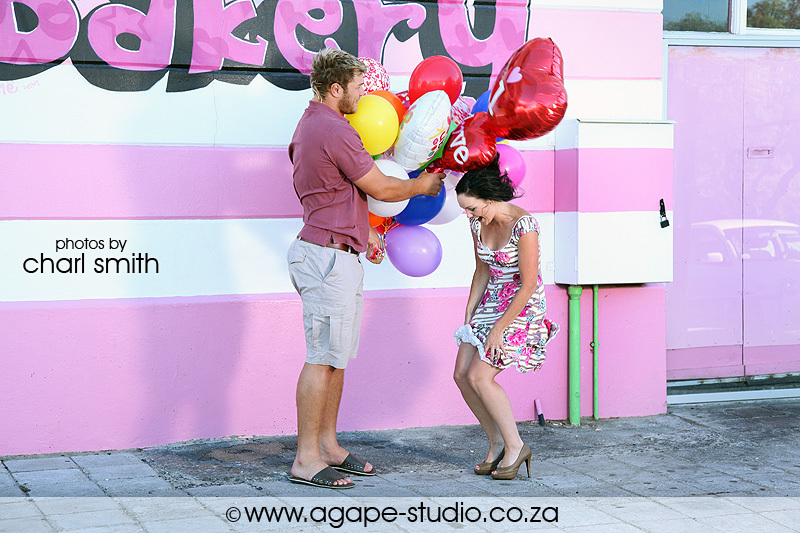 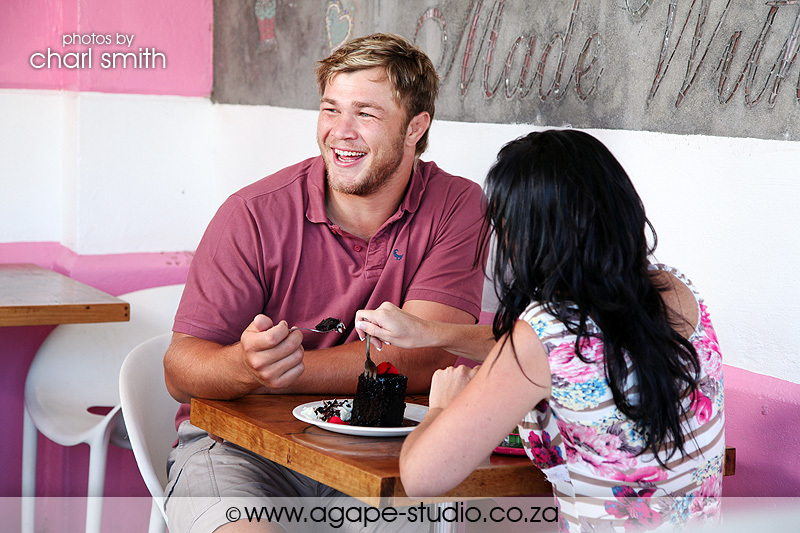 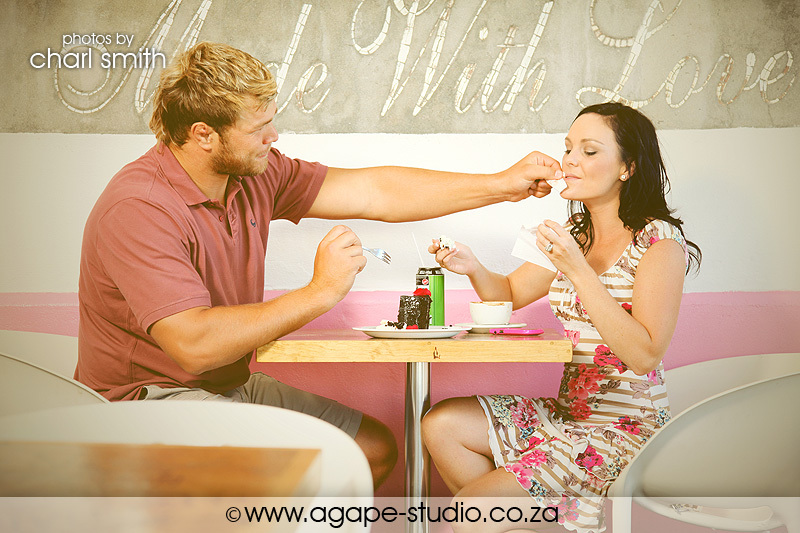 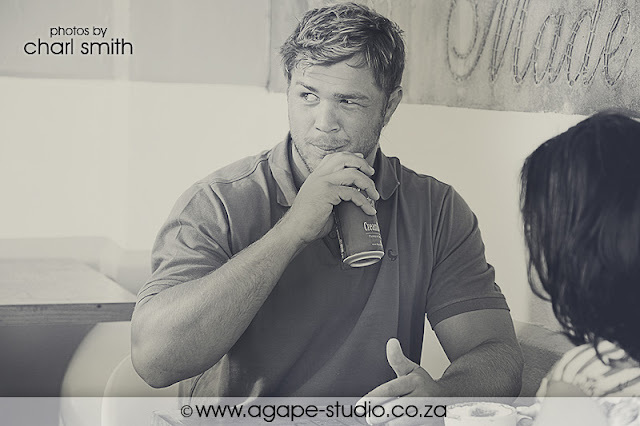 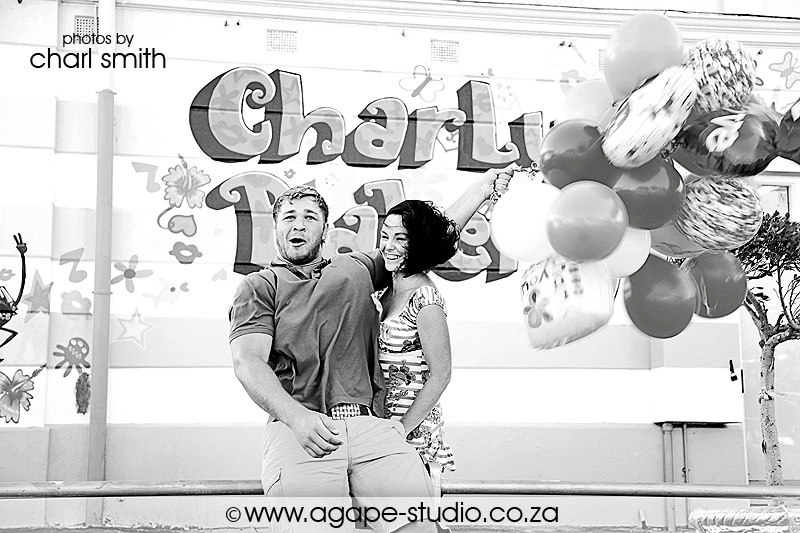 I had the privilege of shooting Ezél and Duane Vermeulen (WP and Stormers Rugby player) engagement photo session with their cake tasting at Charly's Bakery. 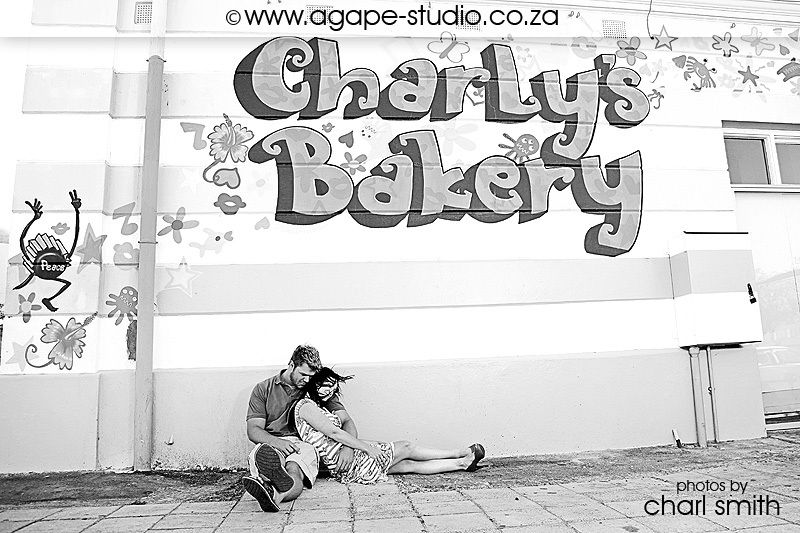 This was the first time ever when I had to reschedule a shoot due to bad weather. 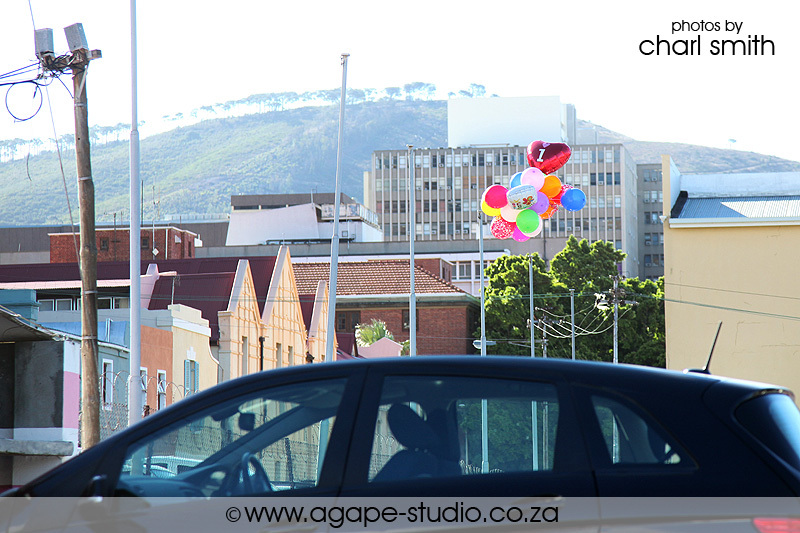 30min into the shoot and a lot of fighting against the wind we had to call it a day. 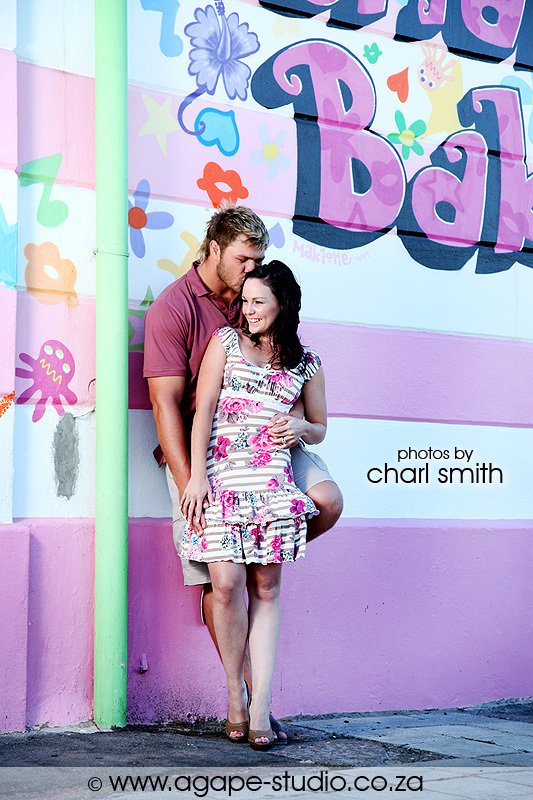 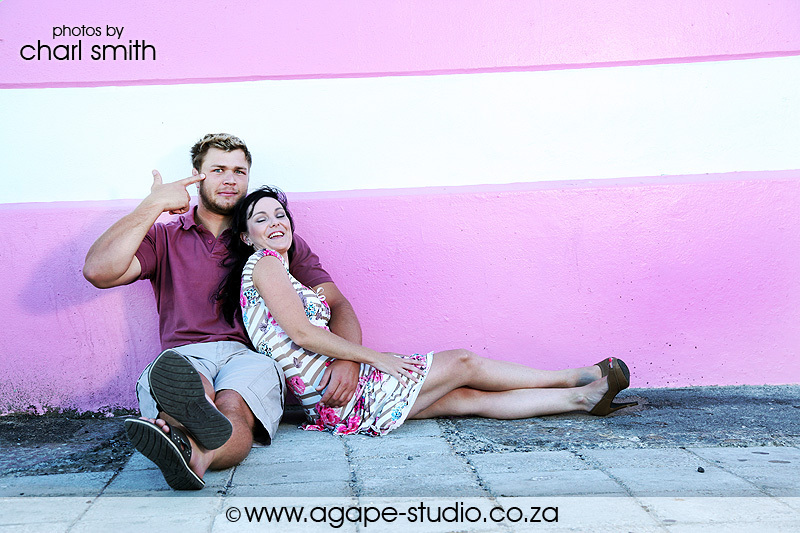 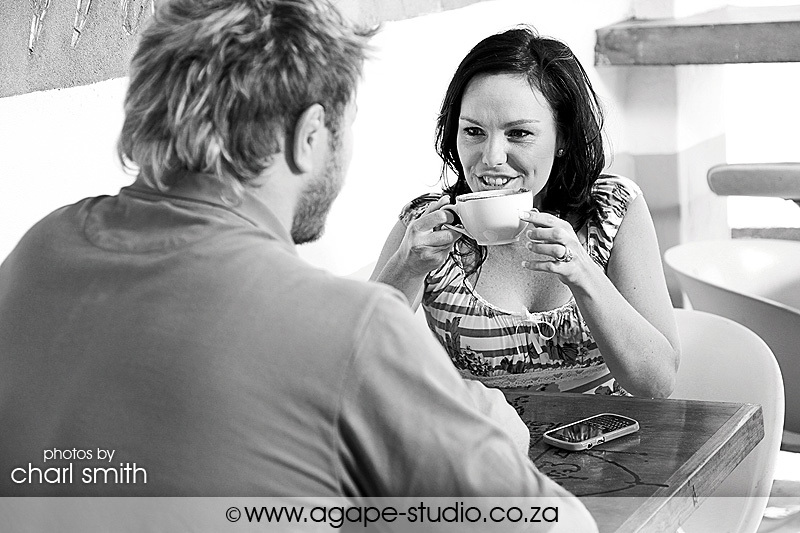 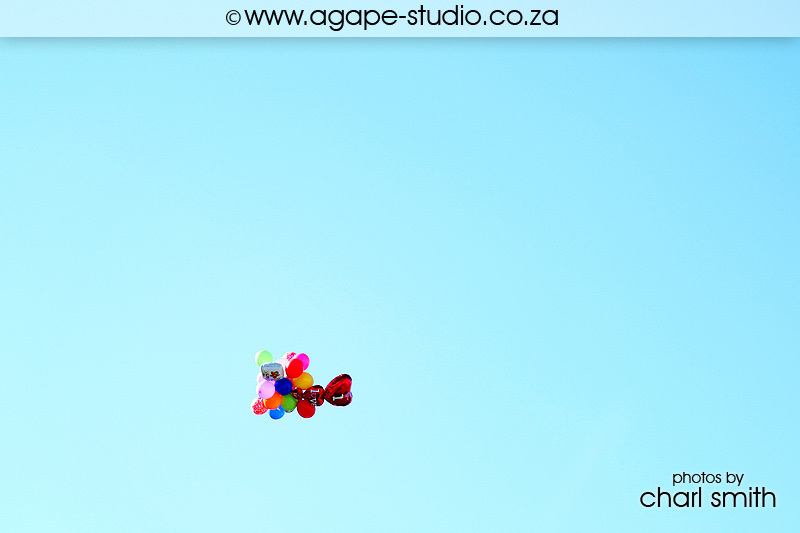 We are going to do another shoot before their wedding in Dec.
lovely! 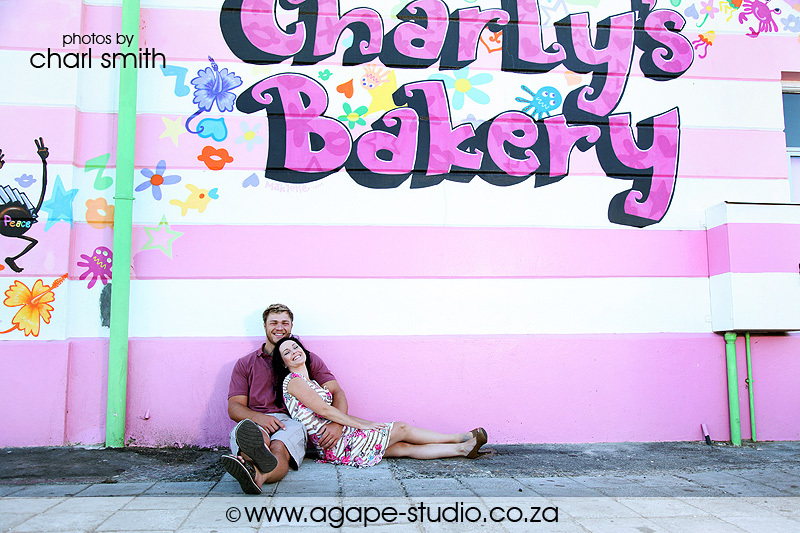 the couple looks so happy and the wind made some pretty special pics!